SHANGHAI WUJIEFANG is a residential and commercial mixed-use project in Pudong area in Shanghai, developed by Shanghai Vanke Co. The site covers about 25ha in Pudong area, on the outskirts of central Shanghai area. Initially, the site wasn’t considered as premium location, but with a large ambition, this project aimed to introduce a high-end residential and commercial mixed-use development in the Pudong area. The strategy was set to achieve a very unique and special environment in Shanghai that isn’t feasible in the dense and expensive central area. We utilized the strict height regulation (15M), implemented in the area to guarantee a more human and natural environment. The relatively low rise project allowed new occupants to comfortably reside in the area, creating a truly unique experience in comparison to the dense central area. SHANGHAI WUJIEFANG was designed to achieve both an urban as well as a natural environment. 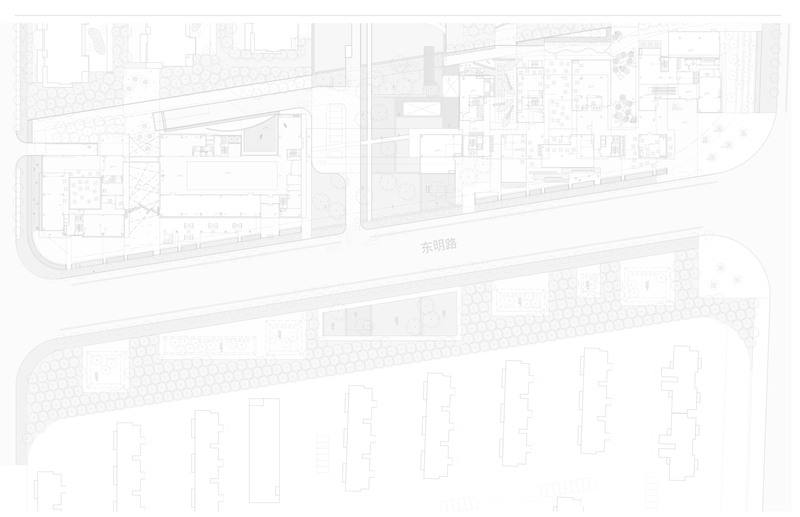 We referred “上海理弄” as a unique Shanghai urban development type, and “三合院” as a residential layout reference which has a relaxing courtyard inside. The urban sides consist of a 15 meters high commercial block with streetscape, concurrently allowing the residential block to encompass a large and natural garden for the residents. Consequently, SHANGHAI WUJIEFANG succeed to overcome the site deficiencies and was recognized as unique and comfortable place for the new occupants.